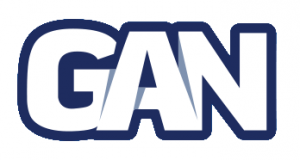 GAN Has Record-Breaking Month in third Quarter! There’s no doubt about it, sports betting in New Jersey has brought several gaming companies to the forefront this year. Not to mention, almost every business involved in NJ sports betting had a record-breaking third quarter. With that said, GAN is another perfect example of this trend! In fact, they’ve also entered the fourth quarter with strong gains! So, let’s get down to the numbers! As the third quarter closed out, GAN stepped into the fourth quarter leaving a huge footprint behind! On that note, looking back at September, GAN finished off Q3 with $26.7 Million in gross revenue. Which, is another record-breaking month for the B2B provider. As well, they also had a record-breaking second quarter. Now that we’re well into the final stretch of the fourth quarter, things continue to look positive for GAN. According to the NJ Division of Gaming Enforcement, the online gaming supplier generated $35.6 Million in October alone! In other words, GAN is on track to another record-setting quarter. Furthermore, as of last month, they reported an increase of 73.1% YOY. That’s an extra $34.7 Million in the bank! So at this point, it looks like sports betting in NJ is taking GAN further than they’ve ever gone before! With all the action unfolding in the world of sports gambling, it looks like NJ is paving the way forward for companies to grow. And from the look of things, this seems to be only the beginning! As we quickly approach 2019, it looks like we’re going to see many more reports like this one! In fact, being that GAN just entered the NJ gambling market a few months ago, next year is going to be one for the record books. But, you don’t have to take it from us. These are GAN’s predictions for their first full year in 2019. So as you can see from above, they’re definitely going to come out swinging next year!